New Relic Klips allow you to monitor your application performance in real time. Choose a New Relic Klip from the Gallery. To learn how to find your API key, click the link in the description. Navigate to www.newrelic.com. Log into your New Relic account. In New Relic, navigate to your account and select Account settings. Under Integrations, select Data Sharing. 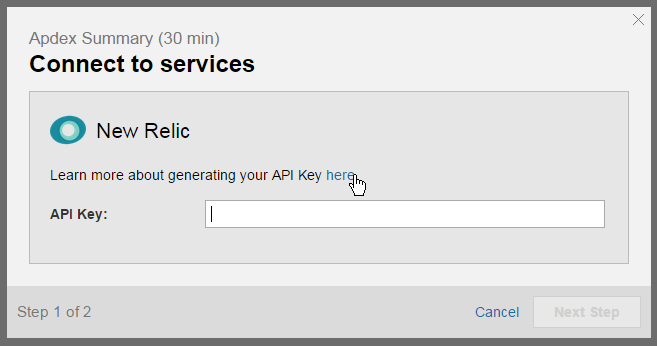 Copy the API key and paste it into Klipfolio. 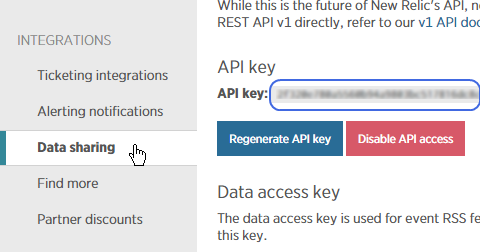 Note:If you do not see an API key, you may not have sufficient access permissions. In New Relic, select your application. Navigate to the URL in your browser's address bar. The second set of numbers is your New Relic application ID; for example, .../accounts/1234/applications/567890. 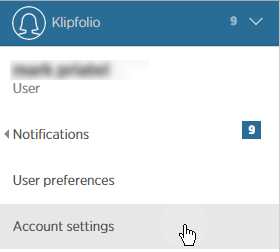 Copy and paste the application ID into Klipfolio.